The smartphone is a truly wonderful device these days that is more than capable of just functioning as your regular mobile communications device – it is also a computer in your pocket, an alarm clock, a navigation device – the list is virtually endless. Well, there are also plenty of apps as well as accompanying accessories that make the smartphone all the more “powerful” and useful, and Healbe Corporation knows this, having unveiled its flagship product, GoBe. 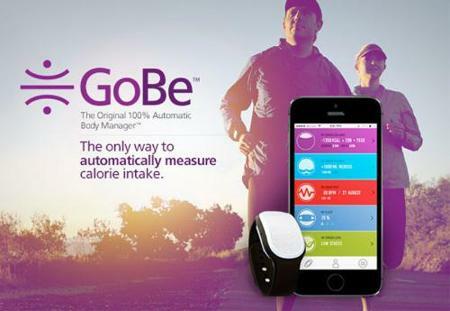 GoBe has been described to be “The Original 100% Automatic Body Manager”, as the GoBe features revolutionary technology that enables users to automatically measure calories consumed and burned during any activity, in addition to hydration, sleep and stress levels without any kind of logging required or leaning on estimates. Just how is this going to be made possible? Through the crowdfunding platform Indiegogo, of course, and it remains to be seen whether at the end of the campaign, enough dough will be raised or not to make it a reality. GoBe would rely on Healbe FLOW Technology that happens to be a patented innovation that combines information from three sensors with an advanced algorithm used so that it can calculate calorie intake through the reading of the amount of glucose in your cells, via your skin. Apart from that, it also delivers continuous heart rate monitoring, and is capable of accurately tracking calorie burn and metabolic rate regardless of the activity. GoBe will communicate via Bluetooth, where you can check out your data on the Healbe web portal, as well as on your corresponding smartphones. Unfortunately, it seems to be limited to iOS and Android devices only at press time.